What’s better than potatoes? Sweet potatoes! I don’t even want to go into why that is better. 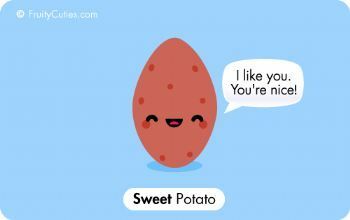 But seriously, sweet potatoes are packed full of wonderful nutrients like Vitamin A and beta-carotene (a purportedly powerful antioxidant). I never liked sweet potatoes when I was young, but ever since I tried sweet potato FRIES, mash ant other wonderful variations, I’ve done a 360 and fell totally in love with them. It might be partly related to the fact that my guilt is somewhat lessened when I consume sweet potato fries vs the usual potato ones. The Sweet Potato Fries (S$12) here were delicately presented, and tasted much like it looked – crisp on the outside, soft on the inside and not too oily or overbearing. The sauce which accompanied it was a little on the sharp side and tasted a bit more like tartar sauce than garlic aioli, but complemented the slightly fibrous but moist, real tasting fries. I personally find the sweet potato taste a bit strong here, but I think this is a popular dish amongst many other people! A pretty huge portion for the price. The fries were crisp and tasty, and had an interesting sort of cinnamon-y powder on it which gave it a little hint of spice and sweetness. Fairly enjoyable but we got a little tired of it after a while. The Truffle Sweet Potato Fries (S$12.90) at this cafe was also a pretty large, which proved slightly difficult for two people to finish (while having other dishes too). The truffle aioli that came with it was a little congealed but was nevertheless tasty. I think the white powder sprinkled on it was meant to be some sort of cheese, but it didn’t really have much of a taste to me. Overall these were good but not fantastic – and with insufficient truffle taste on the fries themselves – but when they became cold, the truffle oils strangely came through a little more strongly. Sin Lee Foods’ version is a Salted Egg Yolk (yes, yes, I know again right) Sweet Potato Fries (S$12), which was quite delicious but nothing really special. I guess I hoped the salted egg yolk sauce to be a bit more, you know, oozy? Possibly because I had the Aburi Broccoli Salad at the same time, and THAT, was mind blowing. At S$9.90, Tanuki Raw’s Truffle Sweet Potato Fries are a pretty economical option compared to some of the hipster cafes. Again the truffle seems to be more in the aioli-like sauce here and not the fries. I did hear that the Orchard Central branch has revamped their menu along with swanky renovated premises, so maybe that’s worth a shot? The ones above are from the branch at the National Design Centre. If you feel like the sweet potato fries at the hipster cafes and restaurants cost too much, quite a number of fast food outlets offer this nice little snack as well. These are one of my favourite sweet potato fries. The fries are coated in flour and so have crispy bits on its exterior, and are covered in sour plum powder which gives the sweet, soft fries a nice tangy flavour. They can be inconsistent at times though – I’ve had it once where the potato was a tad bit stringy and sour. Err not exactly ‘fast food’, but including this here anyway. Loved Omakase Burger’s Sweet Potato Fries (S$5.20 / S$6.20), but had them a rather long time ago. I remembered them having a good crunch and being really flavourful and tasty though… time to go back and have them again soon. Wow even McDs has (had I guess, since it seems like these were a seasonal menu item) sweet potato fries. Their offering is a pretty decent effort, though I wish they could’ve been a little softer and more moist on the inside. Also slightly flat – but hey, you get what you pay for. Good enough to satisfy a sudden attack of sweet potato fry cravings. There are many more places which offer this so this is not a comprehensive list, but these are some that I’ve tried. That’s it for now – I’ve got a craving and shall go off to find some delicious sweet potato fries!